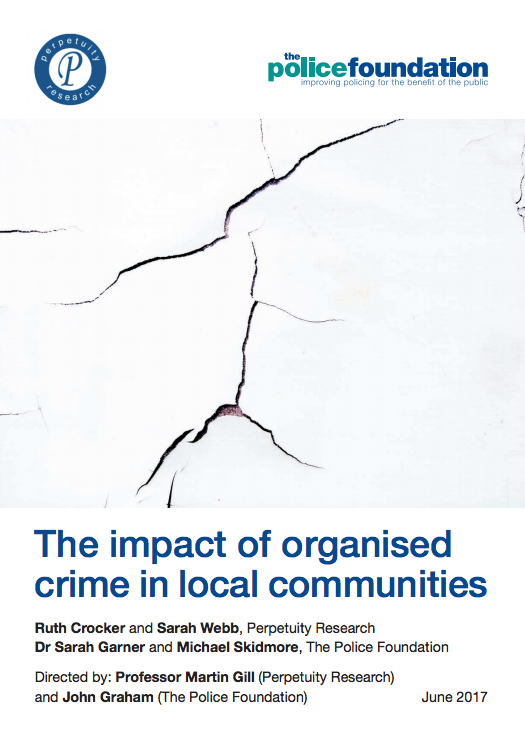 This two year study by the Police Foundation and Perpetuity Research focused on the impact of organised crime on local communities. It also looked at how local communities tackle this threat. In previous research we found that the police do not always acknowledge or prioritise the most harmful crimes. This can be due to low reporting or because of the limitations of the available crime data. As part of this project we developed a narrative for organised crime that is rooted at the local level. 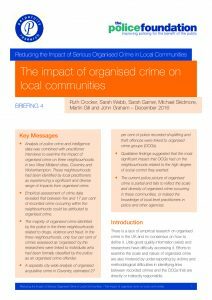 Based on this understanding of local harms, the research recommends solutions to reducing the impact of serious organised crime. The scale of victimisation and where it is occurring. 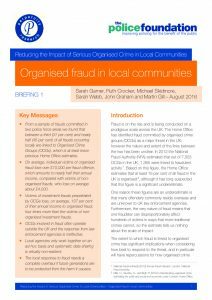 The impact of organised crime on local communities. 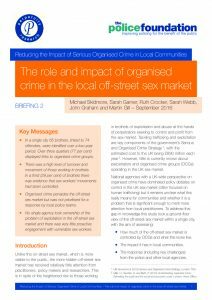 The nature of organised crime that has a local impact. How effective police and partner agencies are in responding to organised crime.